Plannerisms: What do you need your planner to do for you? I thought I would start off the comments myself: I use my planner for appointments, tasks, goals, my kids' academic info and dates, meal planning if I'm really organized that week, journaling and record keeping. I like planners that have forms for financial planning and budget, but I end up not using them despite my best intentions. Similarly, I like the idea of holiday planning pages but I don't need to carry those around in my planner all year. I don't do that much planning for holidays anyway, but I know some people do and they use a separate binder for this. What about contacts? I'm still using address tabs in my Filofax. Excellent point! I use an address booklet that is separate from my planner, but a lot of people do use contacts pages in their planner. I have been thinking about switching to FC 2PPD for a while and after reading this and Patty's famous guest post, I placed my order today. Yay! I bought the Blooms 2PPD, starter pack, lined and blank pages and a-z dividers. I need a daily plan which needs to be open and in sight, or I lose track of what I should be doing. I have been using FF 2PPD, but I need a place to write all things that come to mind without flicking back an forth to a different page. I like that I can use the right page of the FC inserts for this, and transfer the info to the correct list in the evening. YES! I also need the open notes page. I struggle with planners because I like to keep lots and lots of info in them. I have ADD. I lose things and forget things all the time. My desk is perpetually submerged under reams of un-filed paperwork. I need to buy a new jacket and can't recall my size. I pick things up and put them down somewhere else and forget where I put them. My planner (a personal size filofax) corrals all the important stuff and sorts it easily by alphabetical order. It keeps everything important in my life at my fingertips and changes me from an absurdly scatterbrained, unfocused, messy and forgetful person into a responsible adult capable of managing my work and personal responsibilities in a polished fashion. The problem is that when you stuff everything into one book the book keeps getting bigger and bigger and more and more stuffed until it is no longer portable; and then it becomes another item to lose. I put it down and forget about it. I leave it places. I don't want to bother going to find it, fail to write something down, and then drop the ball (again). So: I need to constantly work to maintain balance. To keep as much as I can in the planner without it becoming too big or too heavy. Unfortunately, the 2ppd planner setup tends to become too big rather quickly. I'm going to try bifurcating my work and personal planning to use 2PPD at work (where I really need the space and structure) and 2PPW in a separate personal planner. I have NO idea if this will work but it's being setup as we speak ready for deployment on July 1. Wish me luck! Josh I can't wait to hear how your bifurcated system works for you after you've been using it awhile! Best of luck!! Josh, having had to do something like that when I was working, I know it can work but it will probably be hard at first. You seem like a one planner kind of guy. If your work and home are completely separate, it will be easier to make it work. If there's overlap it might be more challenging. My job was completely 9 to 5 so it wasn't too bad. Good luck. I hope you can make it work. Ling - I hope you love the FC 2ppd. It's a great system! I have found that I need to be able to write absolutely everything down - from big appointments to small details about my day. I'm always looking for ways to record and organize appointments, daily to do lists, long term to do lists, goals, expenses, notes, ideas, journal type details, projects (quilts, house projects, and writing projects), and events (holidays & parties). I know I'm asking for a lot! I'm struggling with my planner set up right now. Last fall, my husband issued a planner challenge to me and my sister. We both have to use our planners we chose until December 31, 2013. I selected a Gallery Leather weekly planner from Barnes and Noble because I wanted to simplify. Now I know I really have to have a daily planner instead of a weekly to function. My biggest problem with my current planner is lack of space. To make it work, I am also carrying around a Graphic Image notebook, which I love. I'm using it as an "everything book" of sorts. It's not dated, and I just fill the pages as needed. Right now it contains daily lists for the days I need more room than my weekly planner provides. It also has work notes, weekly work to do lists, ideas, event planning information, random thoughts, and expense tracking. As much as I love the notebook, I miss having a daily planner. I wondered how you were going to do without a daily planner, you've used one so long I know that's what you are used to. Are you going to stick it out for the rest of the year with your weekly planner or do you think you'll switch? I don't want to let my sister down by failing the planner challenge, but planner fail is also hard to deal with! I have thought about switching to a 2013/2014 Textagenda for August-December. I've also thought about turning my notebook into a hybrid notebook/planner to use until the end of the year. Having both a weekly planner & my notebook to look at isn't working well for me :(. I only started using a planner in 2010, because I was having surgery, and I managed to schedule two appointments for the same time on the same day. But I've wrestled with them, and I think the reason that they try to do more than what I need. I wouldn't mind a simple monthly planner for all the appointments, because I'm not going to use appointment slots in the weekly/daily sections and I don't do to-do lists (I can't work with lists). But I also am a writer and I needed some form of record keeping that was pretty simple (if I can eventually turn it into a business, this is going to be a really big deal). The result was that I got an Arc. One of the appeals was that once the time is past, I can pull out the sections and file them, so I'm not carrying an entire year around all the time. In the monthly section, I divide the days into three sections -- morning, afternoon, evening, and write the appointments. In the weekly section, I just note things like "Finished Scene 21. 1,131 words" or mileage to critique group. Upcoming potential deadlines go on a to do pad, which I am ignoring as a to do. All I'm doing is making the deadlines available so I can decide if I want to write something for that theme or not. Linda I'm very curious to know how you survive without to-do lists. I live and breathe by my lists and if it's not written down it's absolutely forgotten, so I can't imagine getting anything done without a list. Are you able to just remember everything? Or do you have a different type of a system? Laurie, with writing projects, it's easy. I don't outline, so I'm following the flow of the story. That works with the novel, and with short stories, I often don't know what the story is going to be until I start writing it (I don't outline). And I honestly don't need a to-do list to tell me I need to submit the story after I'm done. With work, that's been the challenge. I don't do projects at work -- I do unrelated tasks. This has been a huge challenge because most time management techniques assume projects. I tried Productive Flourishing's method for a while, but ran into problems because it was too high level: Project and then task. The same problem existed for the Planner Pad. For example, I might have 9 tasks. They're all in the same category, but if I wanted to, I could them at separate times. By themselves, they take 15 minutes. Combined together, it takes a total of half an hour. But then I get one that it's urgent. A traditional to do list has us prioritize by urgent and then plan it out for the day. If it's urgent, it doesn't have time to hit the to do list. It's already done. And putting things like Next Steps is utterly insane. Each task follows a certain pattern that I do all the time. Why do I need to list a next action "Send email to John" when I'm already automatically doing it? It just doesn't make any sense to me. The challenge is more for me to group like things together so I can do them all at once, rather than remembering to do them. I'm more likely to miss them on a list (which is why I don't use grocery lists. I can end up making three trips to grocery because I used a list!). I can also end up spending an enormous amount of time rearranging the list to get the like things together, and that turns the list high maintenance. I've been mostly relying on a combination of memory, folders to put like items in, and patterns. Wow this is very interesting to me because I'm so list-oriented. I forget anything that's not written down. So for example if I DON'T take a list to the grocery store I'll forget items I'm supposed to get, and get things I don't need. When I use a task list I don't always arrange it by priority, I just look at the list and see what I have time to do/ what I feel like doing right then. It's different though when you do things as they come at you--there's no point in making a list as that's just an extra step. Also as you pointed out, not everything is a multi-step process. I think it's a good idea to group like tasks to save time. Can you use separate categories (like Email, Call etc.) and write your lists under each topic? Then when it's email time you just blaze through them. Or equivalent, whatever is pertinent to your tasks. That way you sort tasks into your categories as you write them down, rather then write everything mixed into one list and have to re-write separate task lists later. I've tried that. I simply don't play well with lists. They last about two weeks, and then I'm ready to hurl it against the wall. They become a source of frustration and to show how overwhelming everything else, rather than something to keep me straight. With grocery shopping, I just go in and wander around and come out with food. I don't overspend when I do that, but I always overspend when I have tried using a list. Wow, Laurie! We really were on the same page. I use my planner for everything and only have one. I have appointments, to-do's, birthdays & anniversaries, addresses, user id's and passwords, financial information, car information, blog stuff, notes about my family (especially grandkids), food journals and anything else that comes up. Currently we're in the process of selling our house and hopefully finding another one. That information is going in there, too. Yes! I apologize for the sameness of my post but it was in the pipeline so I went ahead and posted it hoping it would be useful for someone. My post here is about all the different things a planner can do for you. I tend to be a maximalist. My post here is similar to Patty's excellent post, but hers goes a step (or several!) further by helping you sort through all the planner functions and decide what you need and what you DON'T! Laurie this is such a timely post! I finally figured out why I have planner fail - it is because I want all of the above in one planner that does not weigh more than a few ounces and will fit in my purse! LOL So not going to happen with all that I require in a paper planner! Josh - you described me to a T! The answer it seems would be a digital planner - but that would mean I can't use my favorite color pens and other little goodies I find along the way. I don't have the option of separating work from personal as I don't work. I also do not have a family to track. But right now I have a separate book to journal in, a Women's Success Planner to track daily habits, a Planner Pad to track my major projects, on iCal for appointment tracking, my Plannerism planner which is schizophrenic as it can't decide what it wants to be, and 2 others I found online that have lots of bubbles to color in and it takes me hours to fill out every week! I spend more time planning than doing thanks to all these! What is a girl to do? All suggestions for a consolidation are welcome. I actually thought of going back to FC 2ppd but thought I just can't afford another planner this year. I just realised that I need my planner to do all of the above (as I am a working mother of 2 and I work as a teacher - not a 9 to 5 work- and starting a small BB at the same time) and I struggle to do it from my compact Chameleon FF. I totally agree with Josh that if you stuff a lot of things in a personal it becomes very bulky and that is why that I abandoned my A5 Finsbury. Although I am tempted to use a bound book like a Moleskine notebook,I dislike two things about them:1. it does not have a pen loop and 2. you cannot have the flexibility to move the dividers. Any suggestions welcome! Mary I also struggle with bound books vs ring binders like Filofax and FC. One of the reasons I prefer bound planners is I get a larger page size in a slimmer/ lighter/ less bulky book when I use bound books. A Filofax with an equivalent page size is always bigger. Also, I'm terrible about switching pages around among my Filofaxes and end up losing a lot of pages. In a bound book, I always know where to find what I've written. Even if I switch to a different book, I know I can still find what I wrote in my old book. The pen loop isn't a problem anymore now that you can get stick-on pen loops to attach to any book. Just google Leuchtturm Pen Loop and you can find them sold on Amazon and other retailers. Hmmm..... Scary, but I use mine for everything that has been mentioned here and as a home management and homeschool planning/recording book. Literally, my families life is all in one book. My husband and I are going to go on a big trip and I gave my kids the run down of what to do should something happen to us. "Any questions?" and my 16 year old asked if I was leaving my planner home with them!! Cassandra it's no wonder they want you to leave your planner with them, it is Mission Control! I went back to my classic size FC DO2P! I love being able to see the week, but I needed more room for tasks each day and record keeping/journaling. I printed my daily/week chores onto a sheet of paper, hole punched it, then cut the holes so I can quickly move it from day to day. It sits on the right hand side of the page. Laurie, I came across your link that you provided for Organized Mum Life Book uk planner, with your review, the link was broken and I couldn't find your review through your search here too. Does the review still exist? Could you poi me to it please? I would love to get more inserts for my planner - especially for meal planning and my food diary - but I haven't been able to find them online. Do you have any suggestions as to where I should be looking? I really need to have everything in one planner rather than multiple planners that I'm ALWAYS losing track of. Shawna I don't know about specific pages for food diary, I think most people use regular diary pages. Seems like I've seen food tracking somewhere though? 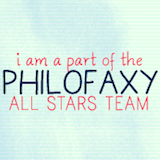 Check out the free printable downloads on Philofaxy, Steve and Ray have just about everything you can want and if there's something you want that's not on there just ask and they can probably create it for you! Maybe some of those will work for you? I'll look around when I get back from picking up my kids and see if I can find some food diary pages online. Here they are, courtesy of Patty at HomemakersDaily! I have a food diary that I made using the philofaxy personal template and then put boxes for water and each food group (idea from Glossette) and the time bottom is a grid for time, food, calories, calories left ( idea from A Bug's Life). Goals - Documenting desired outcomes and actual progress for mind, body, and spirit related activities. Documenting financial goals and progress. Fashion Diary - What did I wear each day, did I have appointments or was it an in-office day, and what was my level of confidence in each outfit? Record keeping - expenses for my expense report, special moments (diary), quotes that inspired me that day, etc. So, that felt good to get it all out there about what I need my planner to do for me. I guess the eternal question is, how do I organize all this "stuff" and make my planner work for me? How do I get into a routine of using my planner to it's fullest potential? One of my planner rules is, "The more you use it, the more useful it is." Which sounds like one of those "duh!" statements but really is true. You can write as much stuff as you want in your planner, but if you don't look at it often enough it's not so useful. You might not necessarily need one planner to do all this for you. If you only need to do your financial, goals and fashion diary at home, you can use your Plannerisms planner for that and use a separate planner (or your phone) for appointments and reminders. I use mine as a capture list (quick lists of things to do now, groceries until the weekly list is made, etc. ), calendar/dated appointment planner, task lister, and project manager. I also keep logs (like of exercise, eating right, and whether I use sunscreen). And right now, it's my Disney vacation planner, too! Hello, I came across your page while searching for someone who can make me a customized planner. I know exactly what I want, but I am having a hard time figuring out how to place an order on your site. Then I read something that says you've sold 2015 and 2016 is on the way. Can I actually get you to create a customized planner or did I misunderstand? Hi, no I don't do customized planners. I do make a planner, called the Plannerisms planner, which is coming out soon for 2016.